the fat quarter shop has everything! they are giving away a kit!!! designed by sandy gervais with her new line frolic! you have six chances to win! signing up to follow my blog. or just leave me a comment saying you already do! they send out great info on new arrivals! you have till 10pm est on thursday the 15th to enter. I am already following your blog - LOVE IT! I signed up for FQS's newsletter...love to drool over their site! I just discovered your blog recently and have been very much enjoying it. Great giveaway. I am a subscriber to the FQS newsletter. Love the FQ Shop! Is there a better shop? I love your concrete garden quilt. And those birds...adorable. My favorite item right now is the BOM "The 12 Days of Christmas". I signed up to do this and got my 2 sisters to join me! :) Toooooo fun! I signed up for the fat quarter's newsletter. I love the dolly dress up quilt kit. It's so adorable. This is a fantastic group! I follow the FQS blog! I am now a follower of FQS's blog! I already follow your blog, and love that giveaway! How adorable. This would be really fun to make. Oh I love frolic. I bought it for my hexagon quilt and I can't get enough of it! Cute kit!!!!!!!!!!!! Thanks for the chance! Love the kit! Great job on the quilt. I've been following your blog for a while now and really enjoy it! FQS's blog is one that I've also been following for a while. It's another one of my favs. You've been in my reader, but now I'm an official follower! Oh, yes, and I do get the FQS's newsletter. Mondays and Fridays are great email days because of it. Summer Song by My Mind's Eye for Riley Blake Designs -- Fav at the shop! And I have signed up to follow the FQS blog! I have been getting the newsletter for a while. Love to see the new fabric lines! My favorite thing at FQS is their Mystery BOM. I am doing one now, and I love it! I already receive their newsletter! Thanks again. I am a follower of you :) Have been for a long time! I love the FQS newsletter! I look forward to seeing the features and kits! I would love the Collection for a Cause - Charity quilt kit. I love that cheddar color in there. I'm drawn to the modern stuff usually, but there's something about this collection and this kit that I just LOVE! I've only ordered from them once, but I placed the order in the afternoon, and I received the fabric the next day...less than 24 hour turn-around! I call that service. I follow your blog devoutly. and I do subscribe to FQS's newsletter. Love the Fat Quarter Shop! That's a cute kit too! Thanks for the giveaway! I already follow your blog on my Google Reader! I already follow the Fat Quarter Shop's blog on my Google Reader too. Also already recieve the Fat Quarter Shop's Email newsletter. Besides your cute kit, I love the Nicey Jane fat quarter bundles there! I've been eyeing them forever. Glad I viewed your blog this morning as that kit is too, too cute. I get the newsletter and always love the delish things. I follow FQS on Google reader too. My fav things at FQS right now are the Luv Bug and Larger than Life kits. I have signed up for the FQS newsletter. Love Sandy's small quilts. Already decided I want to make this one! I get FQS newsletters. Can't wait for them to see the featured projects. What a cute quilt! Thanks for the chance to win. Oooh love that little quilt, just gorgeous! I love this bird thing that is happening lately! One of my favorite FQS things is Coming Soon. I love to poke that notify-me button! Thars a lovely quilt. Thanks for the give away! I follow the FQS blog via Google Reader. I receive the FQS newsletter. I've been crushing on this kit already! I already recieve the newsletter of the Fat Quarter Shop! Oh dear, the the fat quarter shop is already the source of most of my fabric troubles! I like the Suffragette Quilt Pattern kit right now. I get the fat quarters newsletter...its the source of much pleasure! I am a follower of the Fat Quarter Shop blog jolly labber. It's cute! I love that they still have simple abundance and that it's on sale! Aw, what a cute kit! I'd love to win. I follow fat quarters blog and on facebook where they sometimes drop in a gerat discount! what a great giveaway - thanks julie! Hi Julie... Soul Mates is adorable... I love the Hexagon quilt along. I have followed you ever since I started blogging. I already follow the fat quarter shop. I follow the Jolly Jabber too :-) They have introduced me to so many wonderful designers. I love the new French Lace Batiks at FQS. And the Meadow blocks quilt kit is so cool. But I have sworn off for this week at least...! 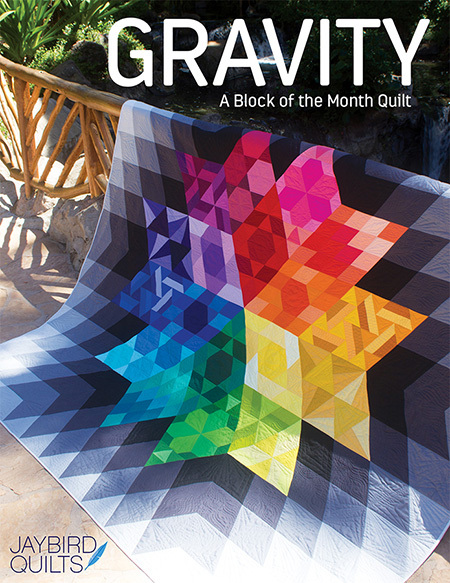 I want to the shop, and I really love Rachel's Full Swing quilt kit! Thanks for the fun giveaway. That is such a cute kit! I love your blog. I AM a follower because, you know, I love your blog! 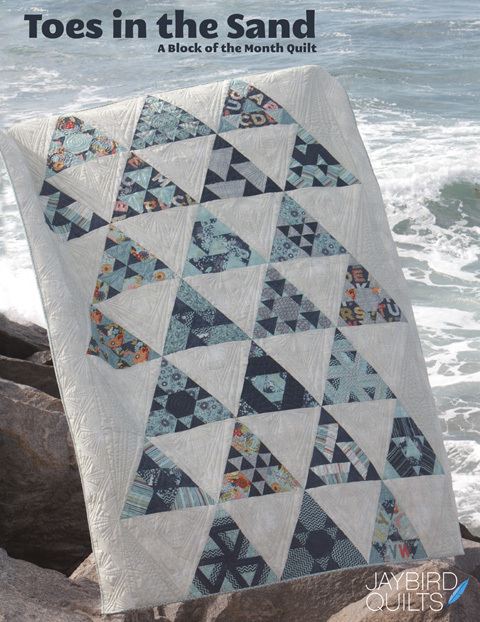 I really love your quilt pattern and I definitely need to get myself some Hunky Dory! What a great giveaway! I love anything Sandy Gervais... her lines go great in my home. I already follow the Jolly Jabber too! I receive the FQS's newsletter. I follow the FQS blog too!! My little boy would LOVE the Road Trip quilt from FQS. I think my favourite thing on sale right now is the Botany fat quarter bundle - I could definitely use one of those right now! Aside from your wonderful kit and Soul Mates, I love the Cherish Nature kit... well, the whole line! Ahhh a girl can get lost dreaming at their site! Thanks so much for the chances! One comment....I love your blog, it's so inspiring!! I now follow the FQ blog. Fun giveaway! 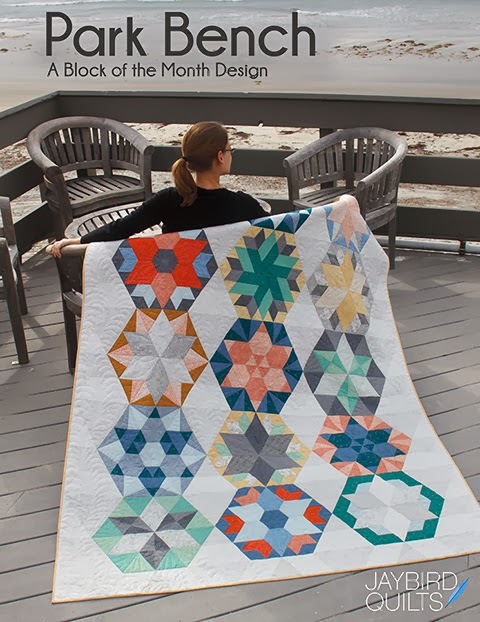 Love the FQS and you and all that y'all do to inspire quilters out there! How do you choose a favorite thing in their shop when there are some amazing fabrics???? But I think I decided, it's Michael Miller's Flora and Fauna Lime Humming Birds Yardage. I really want to make some curtains out of this, well with this in it! Thanks for your all your efforts on your blog! You're the first blog for me to follow! And I'm now going to start receiving the FQS newsletter. I signed up to be a follower of the Fat Quarter Shop. Carrie Nelson for Leisure Arts. Leisure Arts is a local company I like to support. I heart your blog. I'm a Viking girl too! OK other than your quilt (which of course is my favorite!) I especially love 2 quilts from The Fat Quarter Shop - Lumiere de Noel with the French General fabrics, and Scattered Stars kit with the pattern from Miss Rosie (love her designs!) and Park Avenue fabrics - yum!!! Your Concrete Garden quilt is amazing! I definitely follow the Fat Quarter Shop's blog!! I signed up and receive the newsletter for the Fat Quarter Shop! 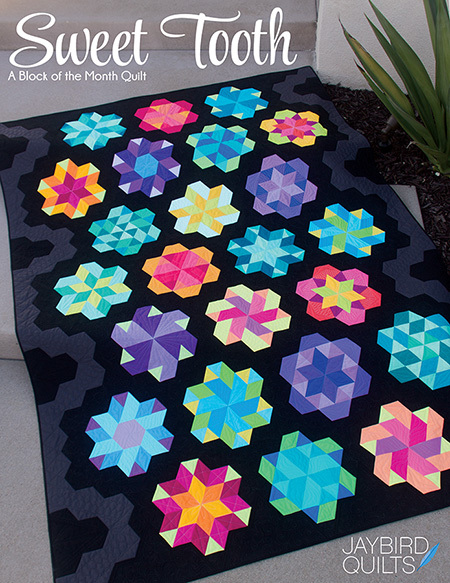 My favorite thing for sale at the Fat Quarter Shop is the 2010 Designer Mystery Block of the Month! Yes, I'm signed up and this is my first every Block of the Month! i love "coffee buzz" by kathy hall for andover fabrics, featured over at FQS. i'm thinking i'm going to make napkins/placemats with it..
Love your blog and great giveaway. I follow Fat Quarter Shop blog. I am signed up for their newsletter. i already get kimberly's newsletter. she's so awesome! what a great giveaway! i love fqs and your blog. ...and i follow FQS blog, too. i also recieve their newsletter. i love the fruitcake line by basic grey. wish i already had my hands on it. What a great kit. I'm in. Thanks for the great give-away. You've got me hooked on hexes...had to join the quilt along party. Thank you. Oh, and I already follow the FQS blog too! You're right about their Coming Soon page...so so tempting. I'm loving their MOMO Freebird right now. 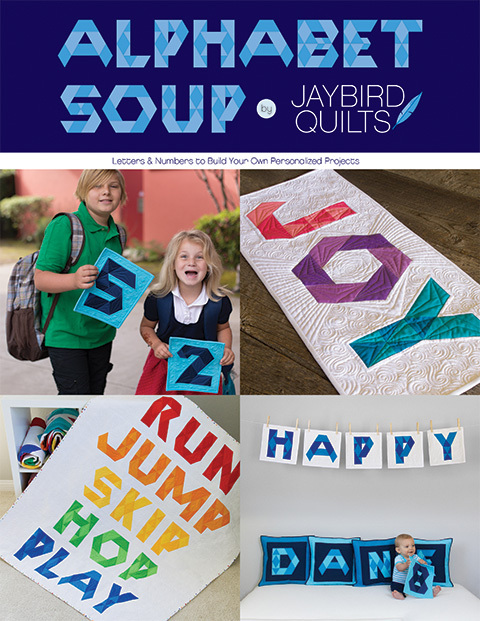 I am already a follower of jaybirdquilts. Thanks for a wonderful giveaway! Also thanks for the Tuesday giveaway lists - they're great and I've found so many fabulous blogs because of it! I love the Riley Blake Wheels! I'm following the Fat Quarter Shop's super cute blog! can't wait to look back through it! 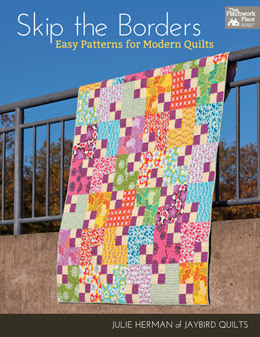 I like the Meadow Blocks Quilt Kit - such bright, happy fabrics! I've been coveting Frolic for awhile now and would LOVE to run my hands all over this kit. I'm already an avid follower of your's! Thanks for introducing us to the 60 degree double strip-ruler yeaterday...love learning about new (to me) sewing notions. already a follower of you blog! already a follower of the Jolly Jabber!